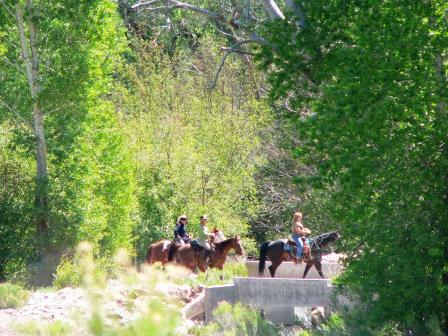 There are many horse trails around Marysvale Utah situated in the heart of the Paiute Trail System. 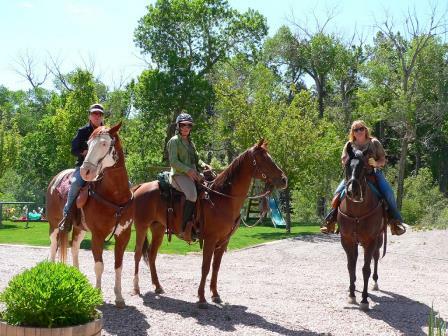 Bullion Creekside Retreat is ideal for the equine lovers with good accommodations for horses. Trails around the rental cabin range from 6000 feet to 12000 feet in elevation. 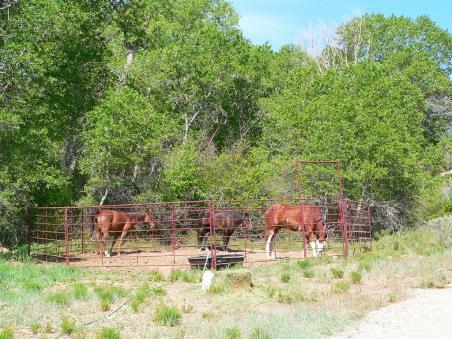 The retreat has a horse corral with watering trough. It consists of nine 12’ panels (including the gate) arranged in a circle. The panels could also be reconfigured into three separate small corrals. There is plenty of room to park your horse trailer(s) at the cabin or RV park. 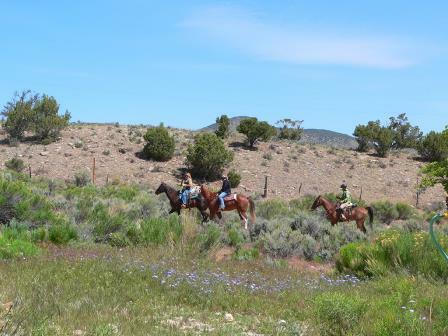 You can ride the horses right out of the retreat gate to access pretty much unlimited BLM and National Forest land which is open to horse riding. 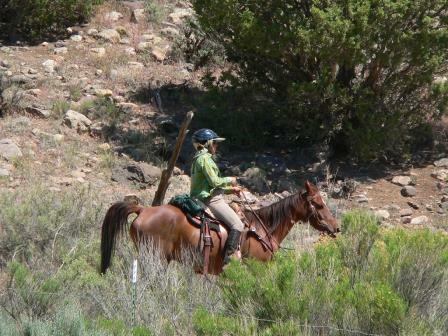 The Bullion Pasture trail has a trailhead near Bullion Falls and features high country riding for experts. There are also many intermediate and beginner horse riding trails nearby. You must reserve the corral at no charge when you reserve the cabin or RV spot. 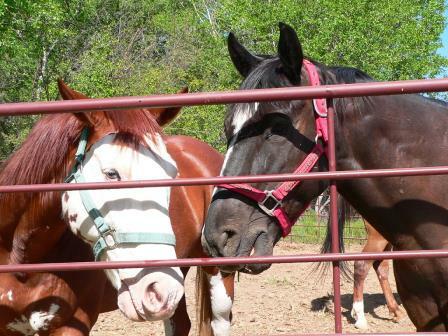 We only allow one group on the retreat to have horses at a time so there will be no corral conflicts. If you are interested in renting horses with a guide then contact us and we can help you make reservations for your horses and time. 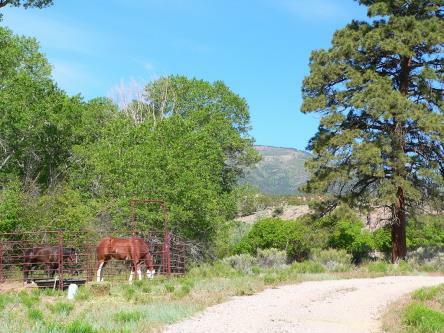 Disclaimer— Horse riding in general and travel in the Utah backcountry is dangerous by nature and could result in property damage, injury or death. If you ride these trails, you acknowledge this danger and assume full responsibility. You are the final judge as to whether a trail is safe on any given day and whether your riding skills and your horse’s capabilities are adequate for a safe trip on these trails. You can see your horses from the cabin porch about 200 feet away. Glenda, Laura, and Marteen mounted and ready to go.